About - Centoni Restoration and Development, Inc. - San Francisco Centoni Restoration and Development, Inc.
Centoni Restoration and Development is an award winning design-build firm based in San Francisco, California. The Centoni team focuses on delivering excellent customer care while ensuring on time and budget development projects. We work (and live) in the breathtaking city of San Francisco. 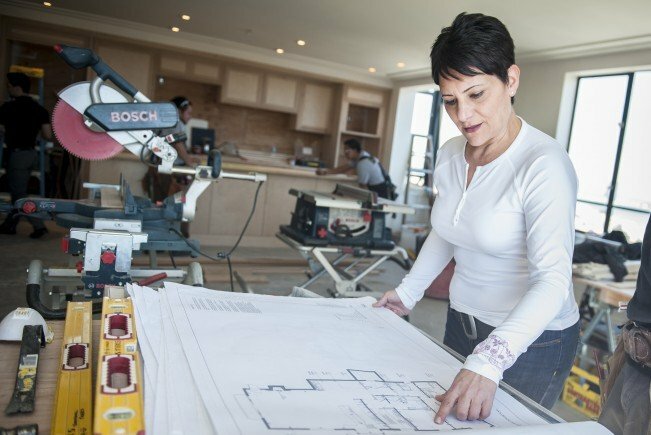 We collaborate with our clients to design and build environments that improve the functionality and value of their homes. We look at a variety of alternatives to protect their investment and enhance a home’s future value. Our start came more than a decade ago when Gina Centoni turned from the high-tech industry to the design and development business. Her passion for turning a client’s vision into reality, while helping them navigate the design and construction process smoothly, has led to successful projects across San Francisco. Gina especially enjoys restoring the local character of properties of all eras — from Victorian to mid-century modern. She’s updated homes with the latest building technologies, keeping in mind updated building codes, while maintaining the property’s original charm and craftsmanship. Clients say they love working with Centoni Restoration and Development, Inc. because we deliver what we say, on time, on budget and with a high quality of workmanship. It’s a reputation we’re proud of and aim to exceed at every opportunity. 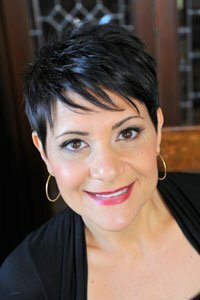 Gina has over 20 years of design, management, and delivery expertise. She’s worked on complex projects and helped clients realize the home of their dreams in sometimes less-than-ideal situations. Through the design and development of her residential properties, she has developed the skill to advise clients on choices that preserve and extend their residential investments. Gina is a Bay Area native and has made San Francisco her home for more than 20 years. She is a licensed general contractor (#928127) in the State of California. Gina is a frequent contributor and commentator on public initiatives regarding architecture, appearing on CBS San Francisco’s “Eye of the Bay,” ABC KGO-TV, and “Forum” heard on National Public Radio. 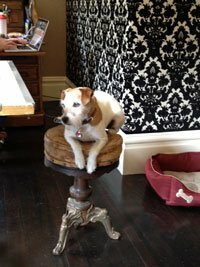 Rocco joined the Centoni team in 2010, arriving in San Francisco from the Northern California Jack Russell Rescue Association. He wears many hats around the office, including staff soother and customer happiness manager.